Omakase meals are votes of confidence, giving chefs free reign to create dazzling menus based on seasonal ingredients. 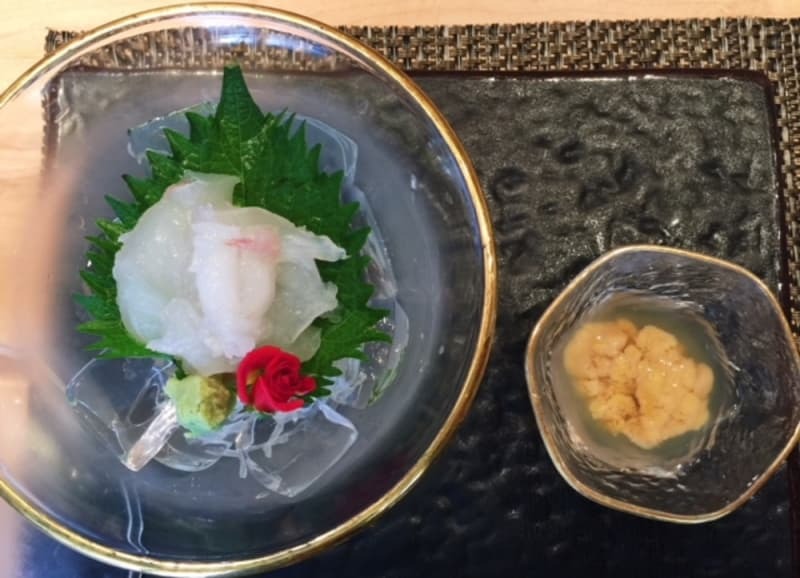 We love a good omakase menu, but sometimes knowing a bit about what to expect also heightens the anticipation. 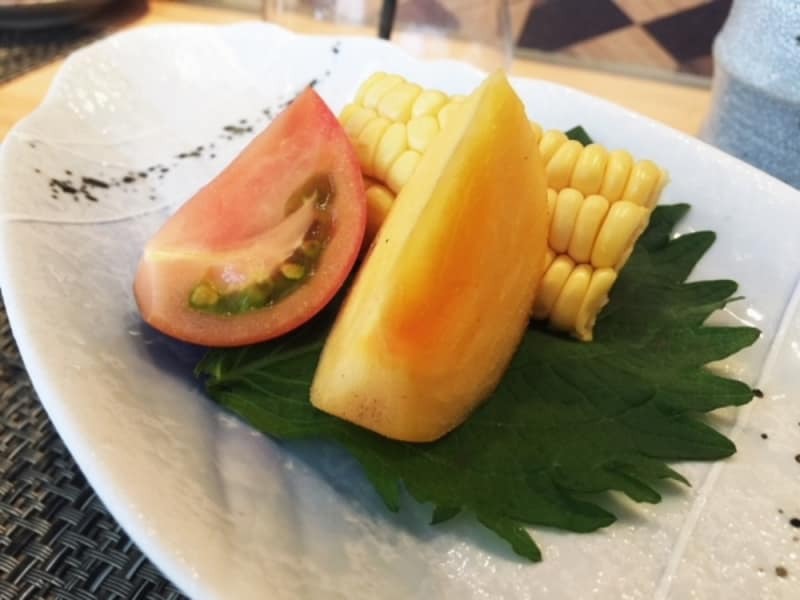 Following the success of The Best of Kishoku 2.0 menu in commemoration of Kishoku’s fifth anniversary this past May comes the tongue-in-cheek 7 Steps to Omakase Heaven menu ($1,980/person; 12 sets/day). 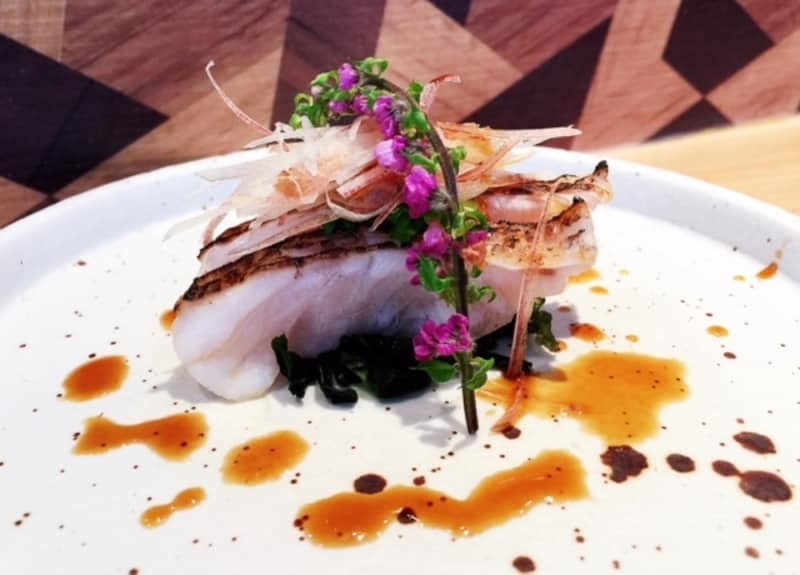 This new omakase experience, available until 30 October 2018, is the debut menu of Executive Chef Milton Lau, who took over Kishoku’s kitchen more than two months ago. 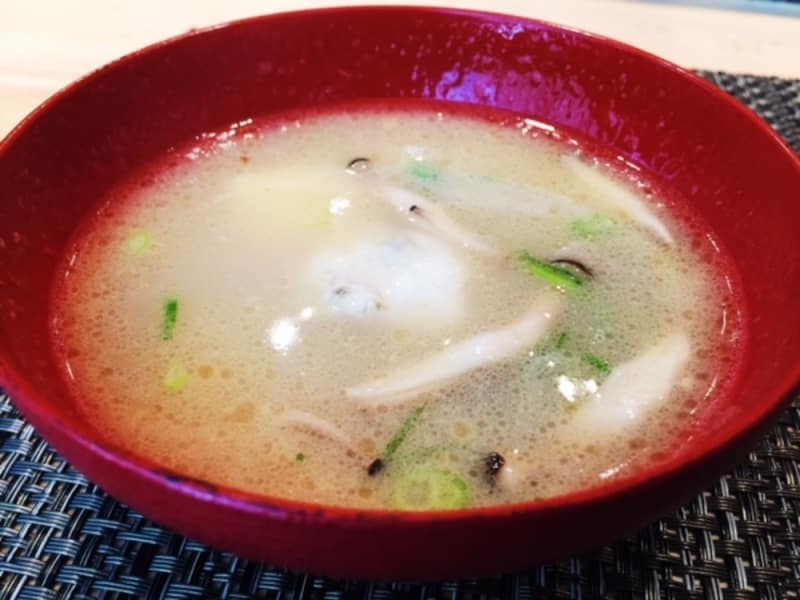 Chef Lau trained under the watchful eye of acclaimed chef Kenjo Shunji of Kenjo in Hong Kong, then worked with Chef Yosuke Imada of Tokyo’s Ginza Kyubey. With over 30 years of experience in the realm of sushi making, it’s safe to say you’ll be in good hands when it comes to this omakase experience. The 7 Steps of Omakase Heaven menu is composed of seven newly created dishes, including a “toro flight” of five distinctive cuts of this prized bluefin tuna. 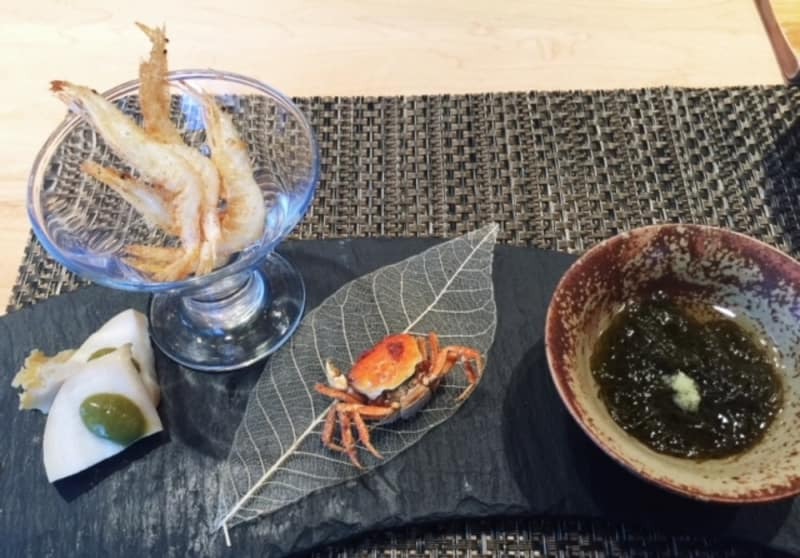 Our tasting began with a platter of amuse-bouche, ranging from abalone with abalone-liver sauce, to crunchy white shrimp, to a fried tiny crab, to seaweed soaked in sweet vinegar. Delicate slices of lobster from the coastline of Ise-Shima in Japan were served with lobster roe poached in fragrant vinegar. The flesh of the raw lobster was sweet with a refreshing crunch, while the lightly cooked roe had the consistency of fresh uni – delicious. 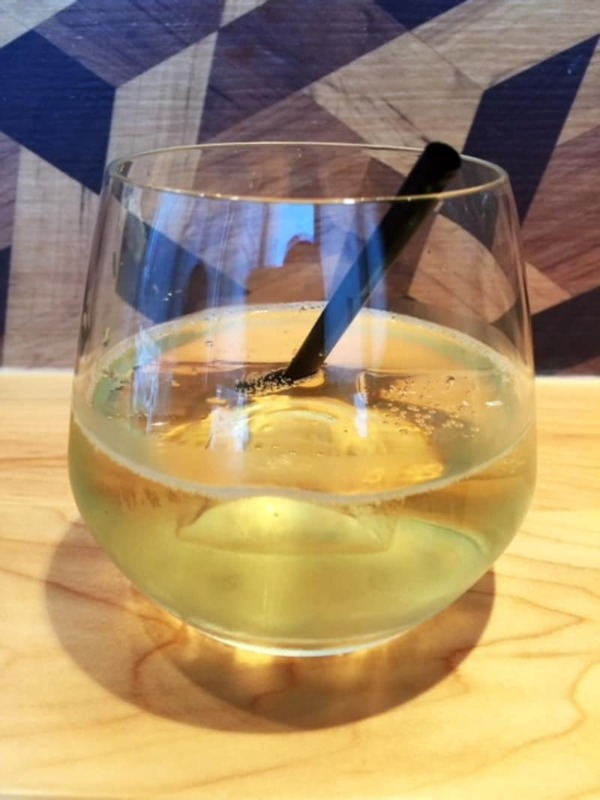 A special gin blend created just for Kishoku by master mixologist Antonio Lai. The light Earl Grey gin with lemon peel and Fever-Tree tonic was elegantly fragrant. 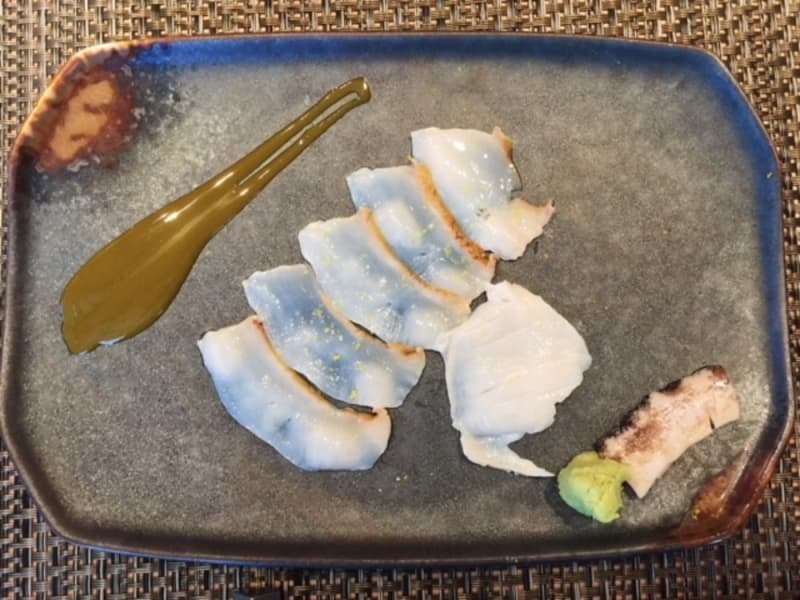 Ise-Shima abalone was served in three ways:paper-thin slices, a meaty centre slice and a chewy, robustly flavoured muscular piece. Abalone-liver sauce added even more umami flavour, although we preferred the paper-thin slices most as the other cuts were a little too strongly flavoured for our liking. Served under a bell jar filled with aromatic applewood smoke, this dish was supposed to feature year-old baby tuna, but on the day of our tasting, the chef swapped it for a delicious, tender akamutsu (white fish). The applewood smoke gave the flesh a rich, velvety flavour, and we also liked the very mild ginger flower and zingy shiso that accompanied each bite. Classic Japanese flavours got an Italian twist thanks to the time-tested combination of balsamic vinegar and extra-virgin olive oil. 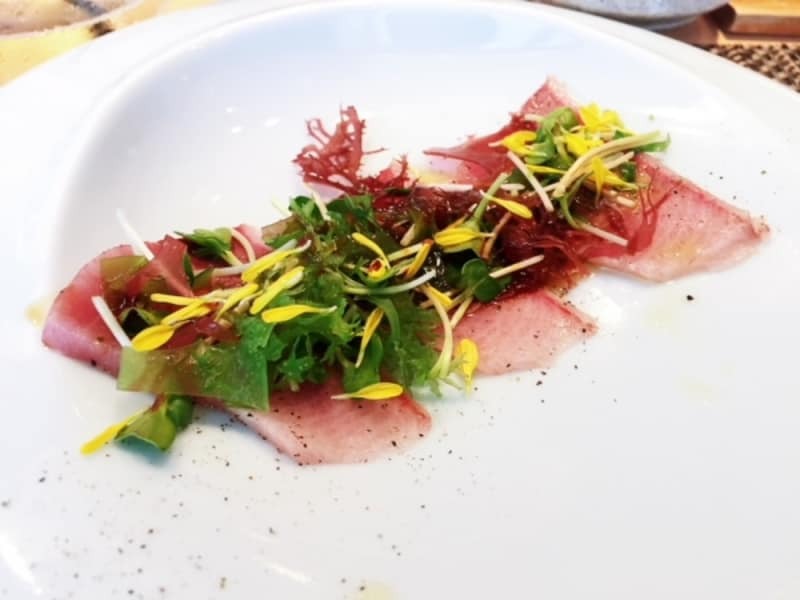 Kingfish (buri) carpaccio was garnished with garlic and seaweed, then drizzled with the oil and vinegar dressing, giving the sashimi a “salad” appeal. We've heard of sake and beer flights, but this toro flight was a first for us. 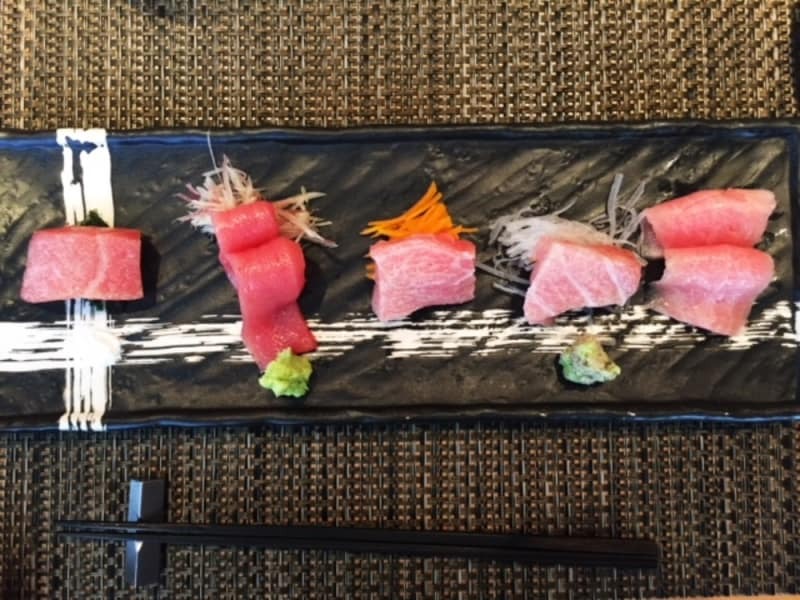 Drawing from his deep knowledge and experience, Chef Lau teased out five distinct sections of the fatty tuna, or toro. The fat content of the toro escalated as we ate from left to right. Our favourite was the second from the left, a rich cut from just under the tuna fin. A palate cleanser of fruit tomato, persimmon and sweetcorn provided beautifully simple flavours. 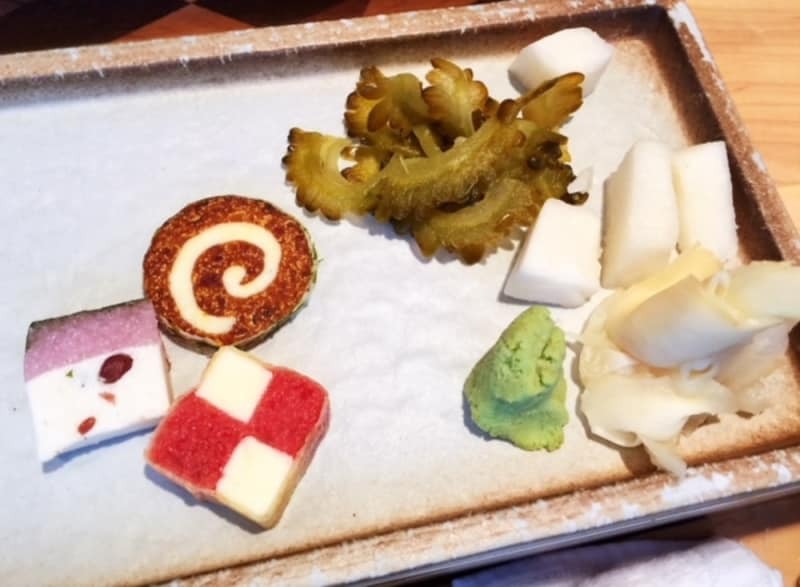 Delicate Japanese sweets and homemade pickles. We particularly enjoyed the bitter melon, which rounded out its sweet, vinegary flavour with a touch of bitterness. 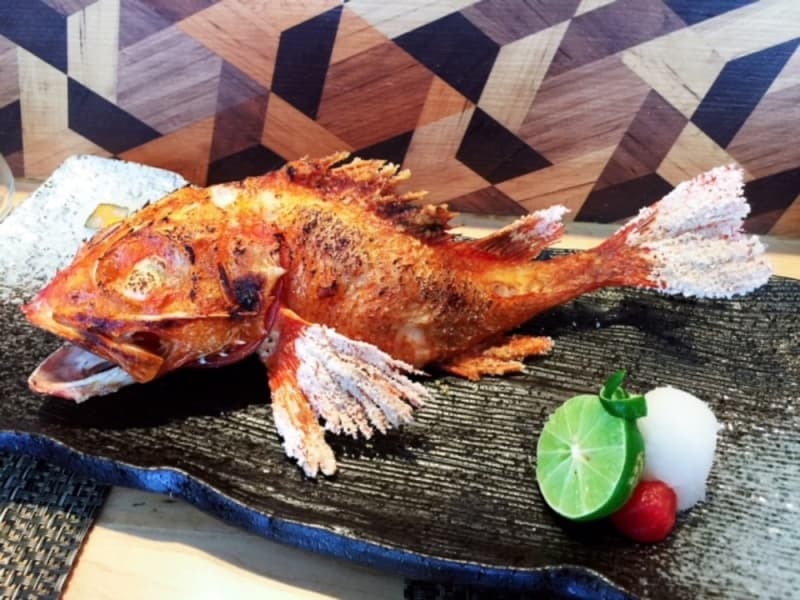 Our favourite grilled fish, this whole kinki would be a treat for any occasion. The salt-dusted fish was a delicious contrast between juicy meat and crisp skin. 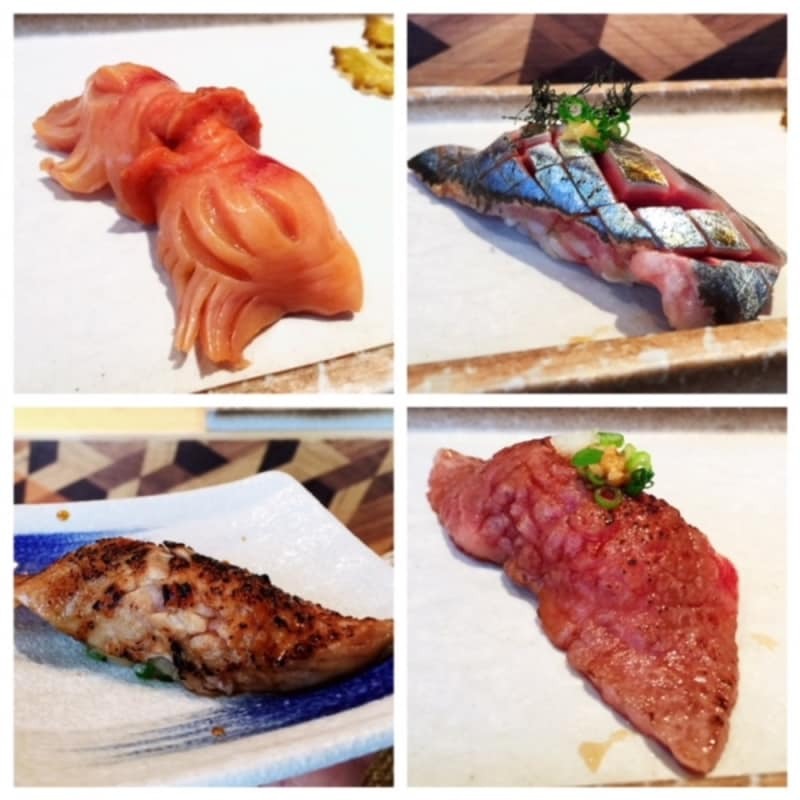 An assortment of sushi – from left clockwise: seasonal shellfish sushi, Pacific saury, Wagyu beef aburi, fatty tuna tendon aburi – featured premium cuts of fish. 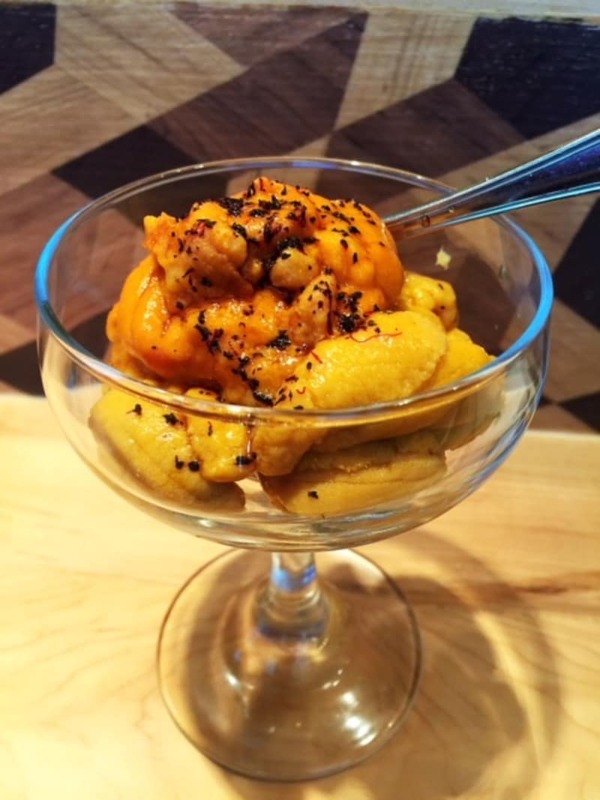 This decadent “double scoop” of uni was composed of two different types of the creamy shellfish. Our favourite was the red uni, which had a caramel-like finish. A rich, creamy fish broth was the penultimate course. 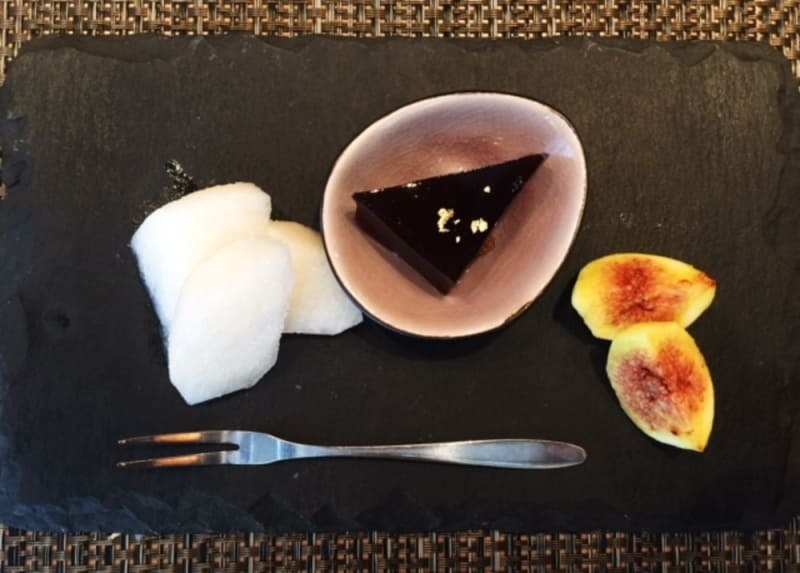 A platter showcasing pear, fig and a light brown sugar jelly capped off the meal. A thoroughly enjoyable feast. Chef Lau’s attention to detail coupled with his years of experience add both character and innovation to this imaginative omaksae menu. It’s a perfect marriage between classic traditions and new creativity. We also like that this menu has a theme, so we weren’t totally left in the dark. It definitely comes with a hefty price tag, but this is understandable considering the high quality of ingredients and craftsmanship involved.